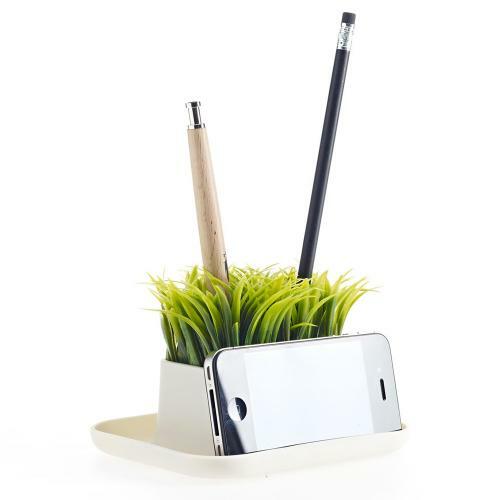 AccessoryGeeks.com | Kikkerland Fake Potted Grass Plant Pen & Phone Stand / Desk Organizer | Free Shipping! 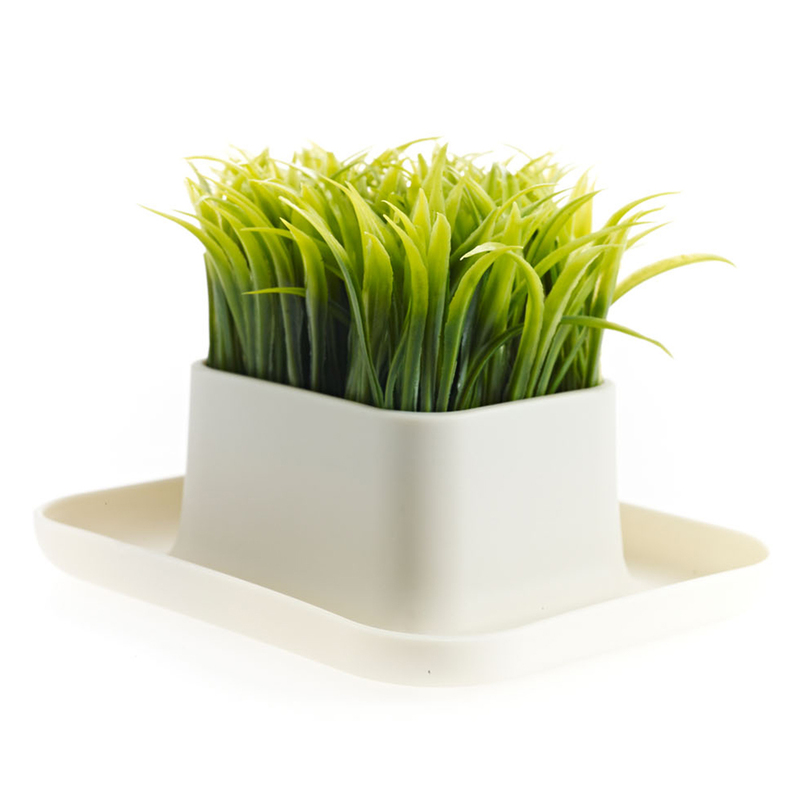 Measures 5.5" x 4.4" x 3.9"
This potted faux grass is the perfect accessory to bring life to your desk no water needed. 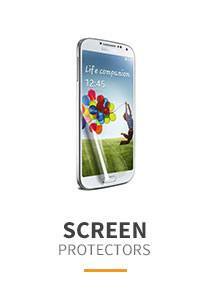 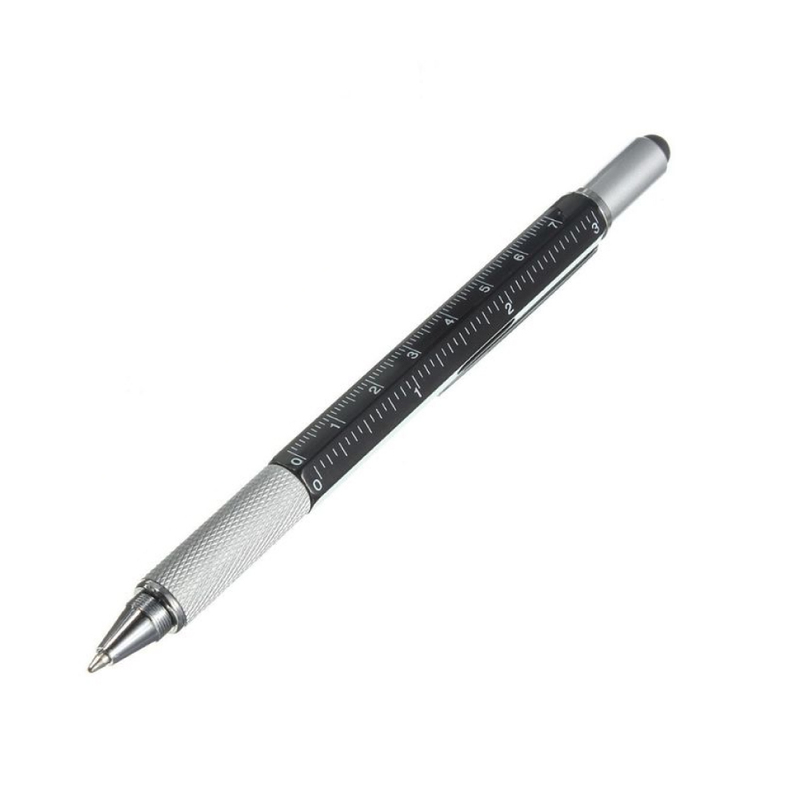 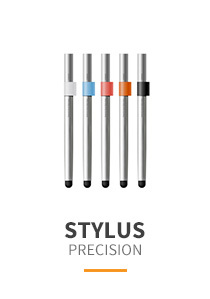 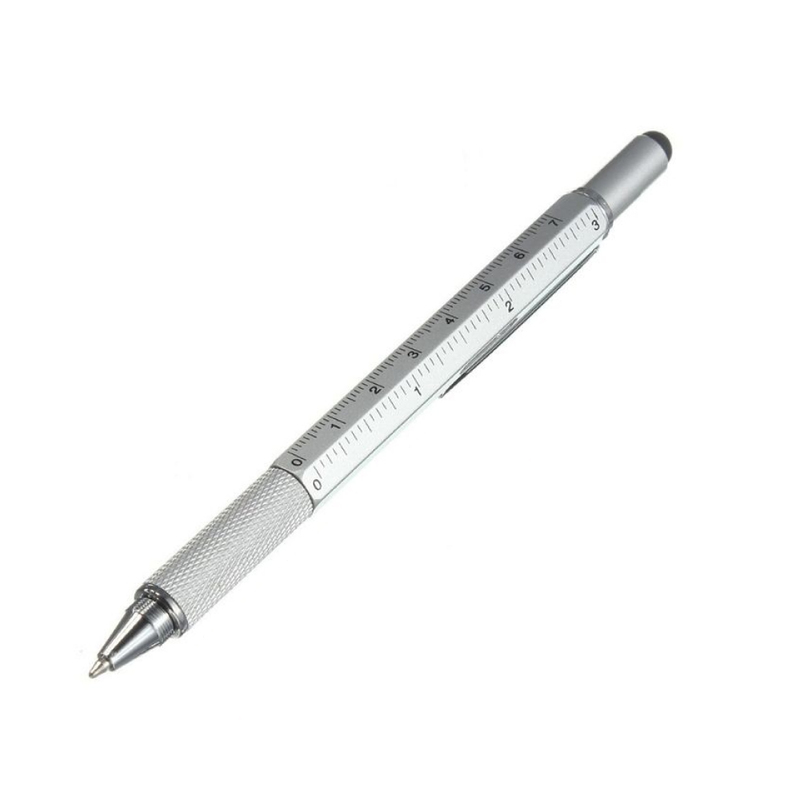 Great for pens pencils and holding your phone this pen stand works with all writing implements and most phones. This is the cutest little plant. 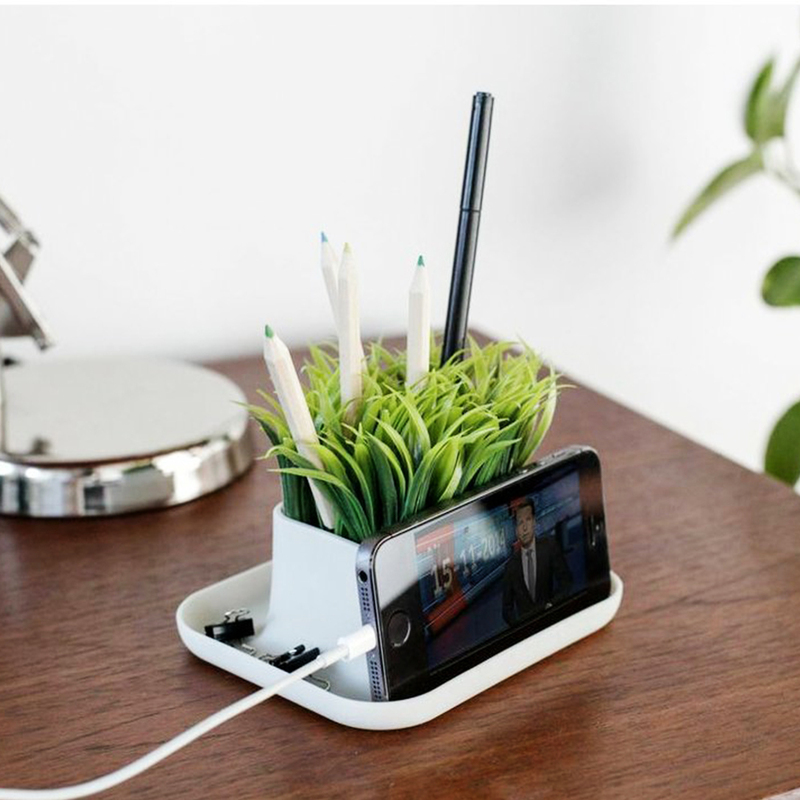 This is exactly what I was looking for for my office desk because it will prevent me from stashing all kinds of things on top of the desk and cluttering it up.Very useful plant!